If you miss your iPod Classic, a new app might help ease your longing. A new keyboard app for iPhone named Click Wheel Keyboard takes all the fun of your old-school iPod and brings it to your iPhone running iOS 8 or newer. The ‘keyboard’ is a simple on-screen circle that operates as a scrolling wheel, while a series of letters, numbers, and symbols slide along top. 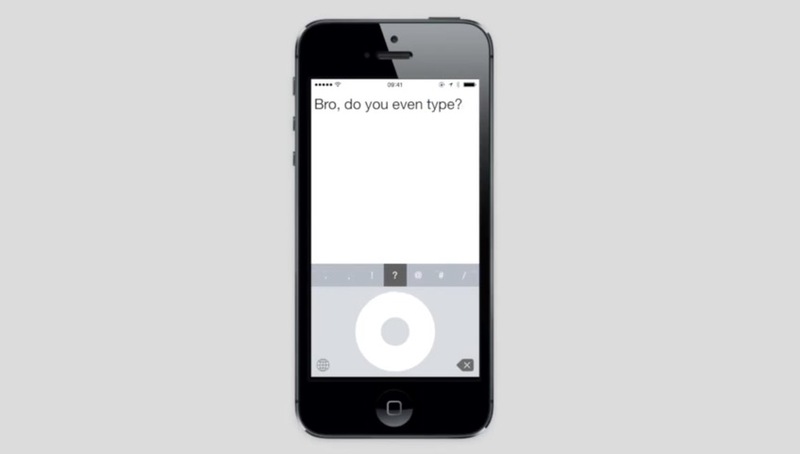 Tapping the center button enters the letter into your text field. To delete letters, tap the top of the click wheel. Tapping the bottom of the wheel offers capitalization, while the left and right sides of the wheel move your cursor through your entered text. Click Wheel Keyboard is more nostalgia than anything else (it even makes a ‘click’ sound as you scroll through letters!). Sadly, Click Wheel Keyboard is not available for Apple Watch, where it likely makes more sense if you were serious about typing a message on the small screen.